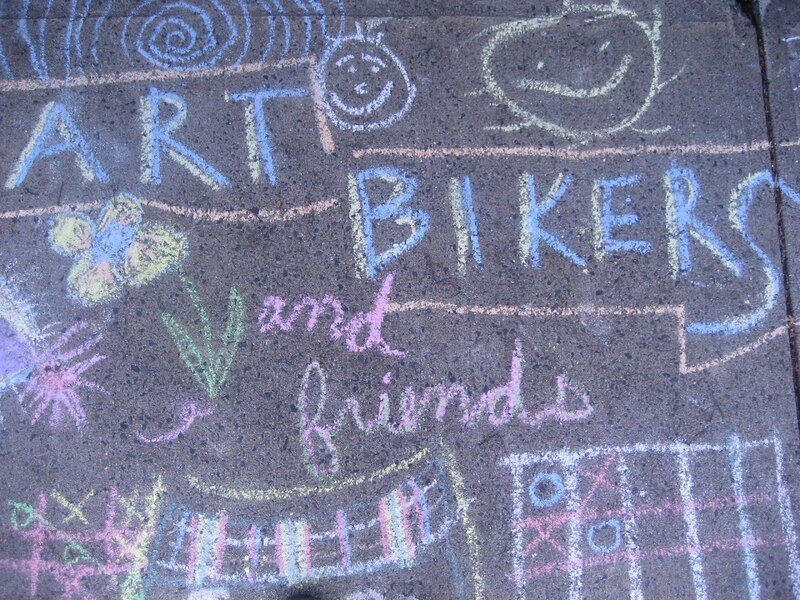 ART BIKERS: Splashy Painty Fun! On July 19th, we went to Isleville Park to have the paintiest and messiest day of them all! We found a whole lot of enthusiastic kids to join us in our painty celebrations. We left behind a beautiful "art gallery" on the fence for all to see. Come check it out and don't be afraid to get messy and have FUN!